Welcome to The Hula Girls' new website!! Well, things kinda move in Hawaiian-time, here, at The Hula Girls headquarters, but we finally got an official website (complete with show dates, to the left, here!) together. We'll keep you up to date with the events that we have coming up! 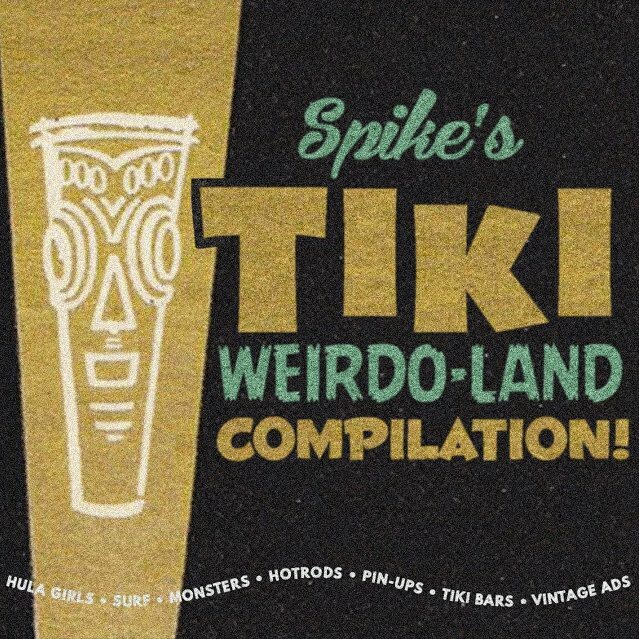 We'll also be posting some interesting vintage tiki stuff, as well as stories of our own travels and discoveries around tiki! But take a look around this site! 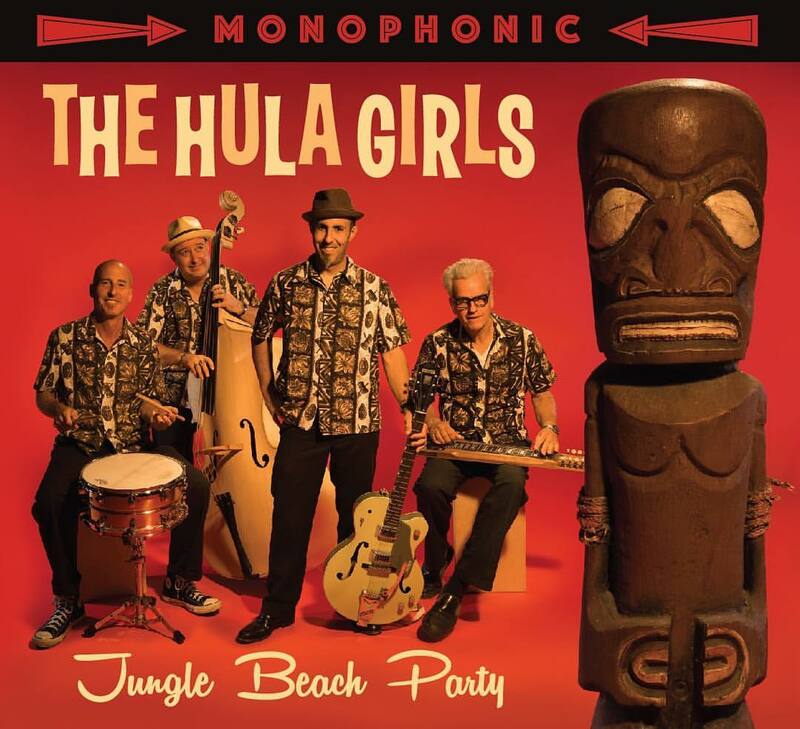 There's some fun stuff about the members of the band and a bunch of the art and videos that The Hula Girls have created along this crazy journey. 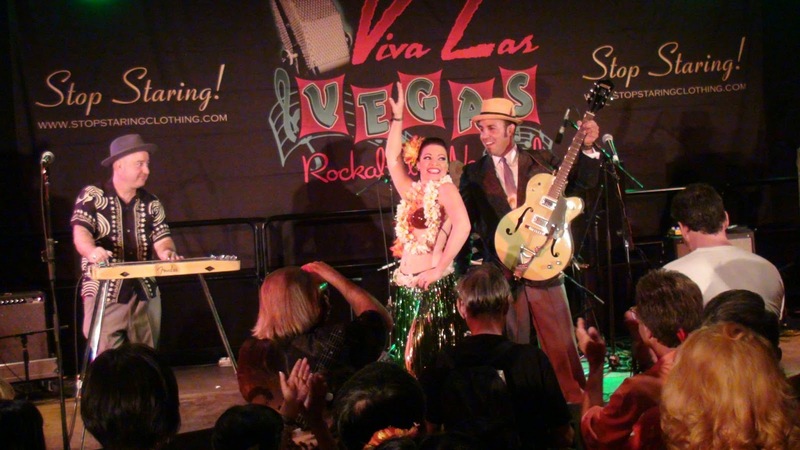 Can you believe that it's almost Viva Las Vegas time again?! 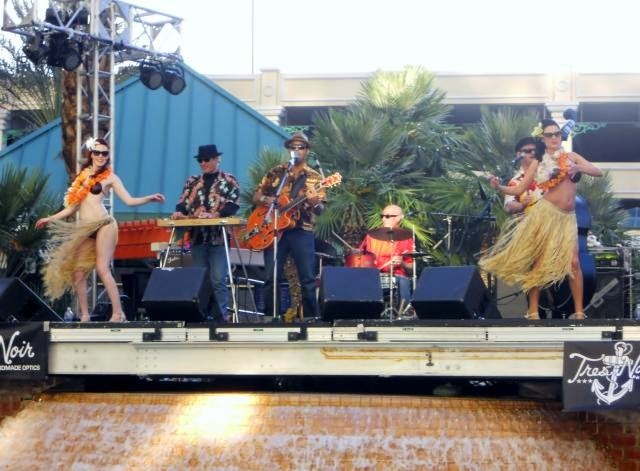 This is The Hula Girls, playing at the amazing Viva Las Vegas last year! What a show, and what a great crowd! 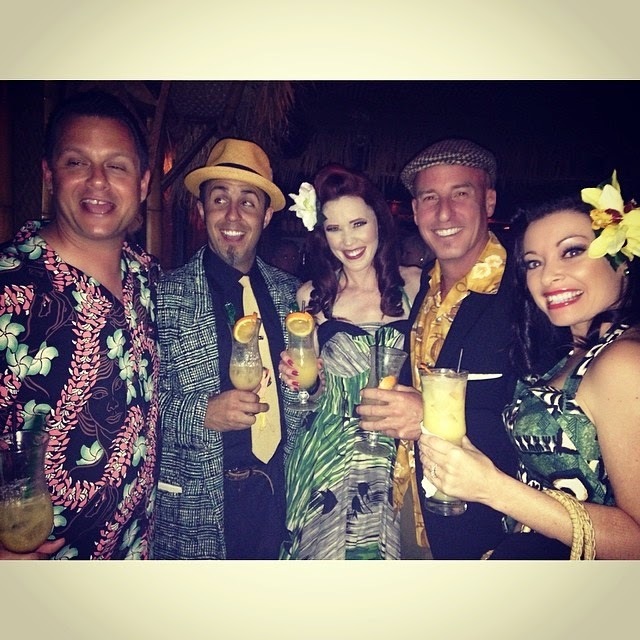 We also took a band field-trip over to our buddy, P Moss' place, Frankies Tiki Room. Unfortunately, Shorty was playing bass in various bands on the main stage during this...We enjoyed the cocktail named after one of our songs, 'The Hulabilly Honey'! A tasty, light, and potent drink! 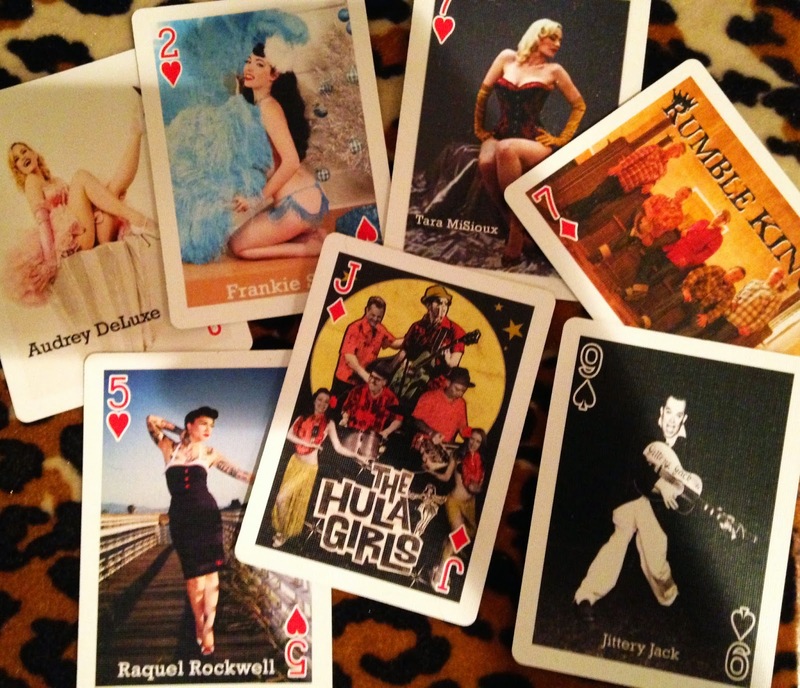 Tom Ingram also put us, along with a bunch of our friends, on the Viva Las Vegas deck of cards! 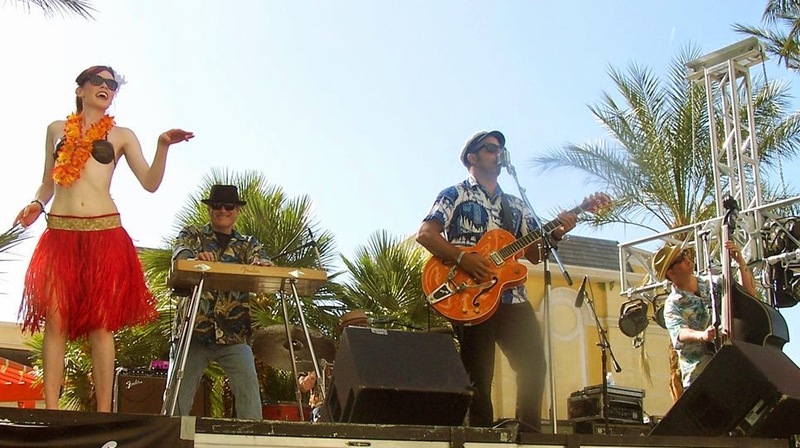 And here are a couple from a couple of years before, when we played the Tiki Pool Party! 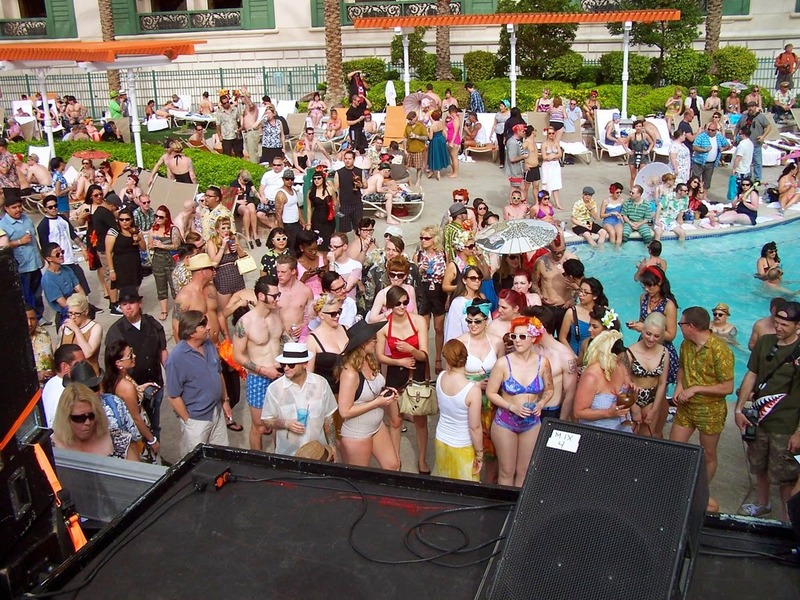 A great crowd at the pool! And what a cool stage...! 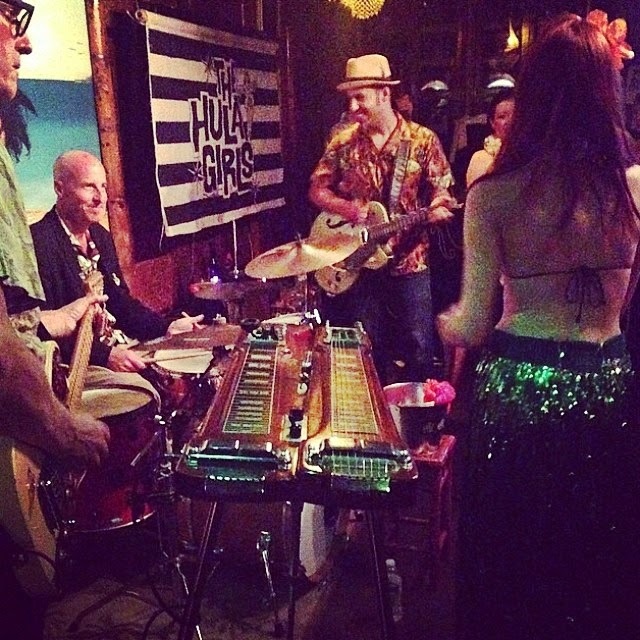 The Hula Girls return to our home bar, Don the Beachcomber, on Saturday, March 21st, 2015! The show is free and we play from 9pm-midnight! There is also a late-nite happy hour that starts at 11pm! !